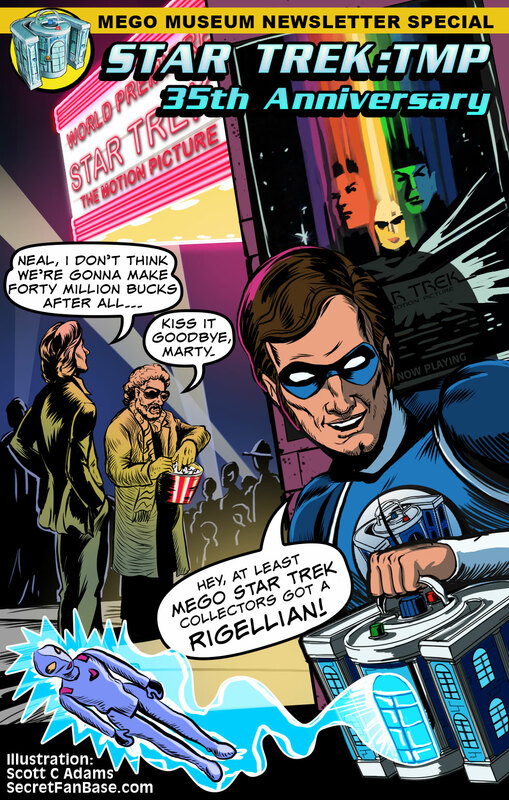 The latest issue of the Mego Museum newsletter is a love letter to the first Star Trek movie. This art by Scott Adams is to good not to showcase everywhere. They’re also giving away another Big Bang Theory figure, read the issue or subscribe here. This entry was posted in Contests, Mego, Star Trek, websites by megohead1. Bookmark the permalink.